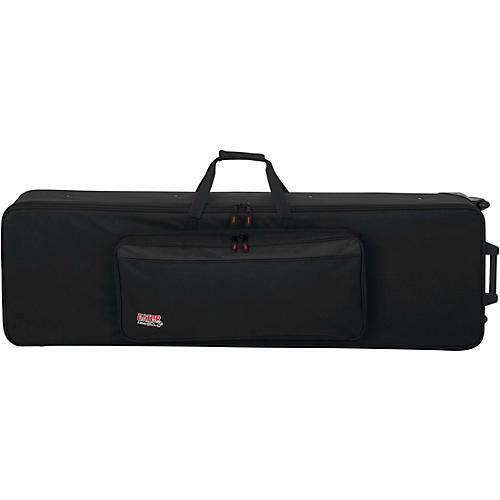 Gator's Lightweight Keyboard Cases are an excellent choice for musicians needing to protect their keyboards in an easily transportable package. Gator uses a proprietary retention system including adjustable padded straps to secure the keyboard into the foam-lined rigid internal frame. Your pedals, cables and other accessories are in good hands with large pockets on the exterior. Once you're ready to go, the pull-out-handle and built in wheels make it easy to get out the door. Exterior: 40" x 15.5" x 6"